With new ministers now in place and getting their heads around some of the biggest issues faced in their portfolios the Central and Local Government response to Kauri dieback is being reviewed. The Government will move immediately to strengthen efforts to protect kauri trees from dieback disease, Biosecurity Minister Damien O’Connor and Conservation Minister Eugenie Sage have announced. 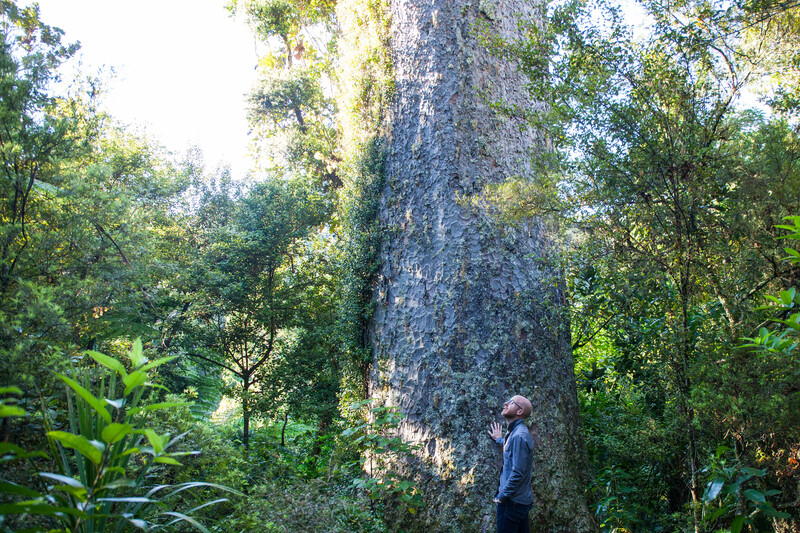 “We have asked the Kauri Dieback Programme to develop a National Pest Management Plan (NPMP) in light of the continued spread of this disease, which has the potential to take kauri to the brink of extinction,” Mr O’Connor says. National Pest Management Plans have previously been used to combat major threats to the primary sector such as the kiwifruit disease Psa, bovine tuberculosis and American foulbrood, a bee disease. Although there are large areas still free of the disease, Mr O’Connor says it is sensible to have more options available to reduce the risk of kauri dieback spreading to uninfected trees. Other measures which can come into force quickly through the Biosecurity Act are also under consideration, including an interim Controlled Area Notice (CAN) applying to kauri forests. This could be used to introduce mandatory minimum hygiene standards for people to follow when going into areas that have kauri and to close areas to visitors. “To date, we have relied on people voluntarily complying with the rules when visiting kauri areas – that they must clean their footwear, stay on marked tracks, and keep their dogs on leashes. That approach has not worked, so it is time that we come up with tougher solutions,” Mr O’Connor says. Forestry Minister Shane Jones said he found the situation was “particularly galling” given he was from Tai Tokerau – the home of the kauri. The kauri was iconic in Northland, so from a personal level, the lack of progress and issues with the programme’s management grated him, Jones said. Jones said the review was “urgently needed”, and he was open to suggestions. He also warned that any bureaucrat who had been “fiddling around” would be gone faster than the kauri. Jones said an overarching pest management programme was also being developed, and would be co-ordinated by MPI. The programme would include a detailed response plan for kauri dieback, which would be a “galactic improvement to what’s been happening over the past several years”, he said. Jones said the programme was an “overdue development”. He expected to receive further briefings on Monday, and after discussions with the prime minister, he expected to be able to announce further details of the programme and the review. The news is welcome. The latest Kauri Dieback survey report produced by Auckland Council shows that the current approach is not working. Central and Local Government both need to do better. The Kauri Dieback Programme, which included a five-year plan for research, surveillance, treatment and containment, launched in 2009. Craw said in those first five years, the co-management system between Ministry for Primary Industries (MPI), Department of Conservation (DOC), affected local councils, and iwi, worked well. However, after the programme came up for renewal in 2014, the programme became less effective, thanks to poor management on the part of MPI, he said. Craw, who has now retired and does private biosecurity and kauri-related consulting, said he was “dismayed” by how the programme had been handled, and believed not all of the money allocated was being spent. The programme had also recently lost another experienced scientist, and iwi were “ready to walk”, he said. During the last financial year, $2.1 million was allocated to the programme. About $1.4m came from MPI, with the rest coming from DOC, local councils, and charitable foundations, according to the programme’s financial statements. In 38 years working in biosecurity, this was the “most daunting pest” Craw had encountered. He said there was a way to contain the disease and work to regenerate the population, to a point where it could be milled again, but only with the right funding, programme and ambition. Craw estimates an effective programme would cost about $8m a year. And Council is moving to put more of its resources into the problem although there is a disagreement at this stage about how much. Simon Wilson at the Spinoff said this about proceedings at a recent Finance and Performance meeting where an increase in funding for Kauri Dieback was discussed. The committee was considering the proposed 10-year budget for council, put forward by the mayor, Phil Goff. Currently, just $5 million over 10 years is allocated to fighting kauri dieback. Given that we’ve known about this terrible disease for 10 years now, it’s pathetic. The committee basically agreed with that, and resolved to include two options in the draft of the new 10-year budget that will go out for public consultation early next year. One is to allocate an extra $83 million over 10 years to the campaign; the other ups that to $100 million. Council officers judge the current option carries an 80% risk of kauri dieback spreading. They say the extra $83 million will reduce that risk to 30-50%, and the $100 million option to 10-20%. The option voted down by the Finance Committee, which was proposed by Crs Alf Filipaina and Penny Hulse, would have increased the kauri dieback spend to $113 million over 10 years and taken the risk figure close to zero. Strong words were spoken. Mayor Goff was against the biggest option. He said, “We don’t live in a perfect world. We could have put more money into sporting and cultural activities, climate change, homelessness, things like that. But if we spend $80 million more in this area it’s $80 million less in other priorities, unless you just want to add that to the rates burden.” He called both the other two options “a massive, massive increase already”. Hulse responded by saying she agreed with “90% of what the mayor said”. Then she said the problem was that the whole debate was being conducted from the premise of having “a conservative rates rise” (just 2.5% average, as promised by Goff in his election campaign). What they had not done, she said, is ask, “What does it take to run this city?” And constructed a budget accordingly. She said to Goff, “We’re trying to give you some air cover, Mr Mayor. It’s not your fault if we go out with options outside the 2.5% envelope.” In other words, Goff has promised a ceiling of 2.5% for raising rates but he is only one vote on council. If they override him and go a little higher, it won’t be his fault. While a halving of the risk of the spread of Kauri dieback is a good thing I agree with Penny Hulse that as a city we need to do better. And if the cancellation of a roundabout or two will free sufficient funds to adequately fund Kauri dieback then I think we should start cancelling. As noted by Wilson the attempt to further increase the Mayor’s proposal for dieback funding was lost on a vote by nine votes to twelve with left wing councillors (as well as Linda Cooper) being outvoted by centrist and right wing councillors and the mayor. Interestingly there was then a vote to disestablish Auckland Council Investments Limited and to allow Council to again have direct control of the Airport shares and Ports of Auckland. This was lost by eleven votes to ten with Linda Cooper voting against the proposal. This is a real shame. I have thought that Ports of Auckland has been out of control for a while with its anti union and environment damaging decisions and bringing it under direct control would have allowed for these failings to be addressed. The earlier Council decision to close all high and medium risk tracks is I believe the right one although they do need to be closed, every risky one without exception. There are too many infection areas that match accurately the location of tracks. To allow these tracks to remain open will only mean the infection of remaining healthy Kauri on these tracks. Cleaning stations will not prevent the spread of Kauri dieback on already diseased tracks. And we need to quarantine the disease, not try and manage its spread. The map on the left shows identified Kauri dieback locations, the map on the right shows high and medium risk tracks. There are a number of areas where the spread is clearly occurring along the tracks. The new Government’s interest in doing something presents the west with a unique opportunity to get the Kauri dieback programme back on track. The latest survey results show that we are losing the battle and must do better to save this most iconic of species. The draft ten year plan which contains the spend on Kauri dieback will be out for consultation soon. Can I urge all Aucklanders to support the special environmental rate proposed by the Mayor in his ten year budget proposal and to go even further and support an increase so that as a city we do not have to face the prospect of losing that most iconic of species, the Kauri.